Online Videos Aim to Help Parents Make Sense of Common Core is a good Education Week post over a 120 video collection (in English and Spanish) put out by Great Schools to help parents understand the new Common Core Standards. I’m adding this info to The Best Resources For Talking To Parents About The Common Core Standards. Through the voices and stories of parents, youth, teachers, organizers, and advocates, Vision to Victory: An Education Roadmap for a New Mayor tells the story of how New York City parents, youth, teachers, and community members joined together to make the 2013 mayoral race an education election, pushing all the mayoral candidates to make the community’s education priorities their own. You might also be interested in The Best Videos On Parent Engagement. Joe Mazza led an excellent Webinar today on Engaging Families Using High & Low Tech Strategies. If you, like me, had to miss it, no problem — here’s the video! Here’s a video on community schools I learned about from @PrincipalMN on Twitter. I’m adding it to The Best Resources For Learning About Community Schools. I’ve previously posted about an excellent Canadian organization that promotes parent involvement in schools, People For Education. 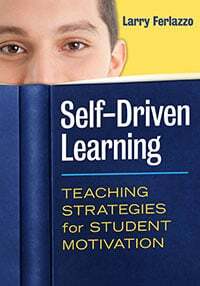 I’m adding it to The Best Ideas On How Parents Can Help Their Kids Succeed In School. Karen Mapp is one of the most-respected experts on the topic of parent engagement. Here’s a video of a talk she recently gave (you can see a short written summary here). I’m adding the video to The Best Videos On Parent Engagement. Homework Helper: Math Tips for the Common Core is a series of short videos designed to help parents understand…math and the Common Core. I’m adding it to The Best Resources For Talking To Parents About The Common Core Standards. Thanks to Valerie Strauss for the tip. 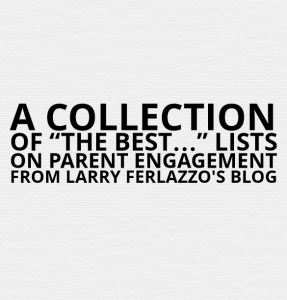 You might also be interested in The Best Sources Of Parent Engagement Advice For Teachers. If the embed code is not working, you can go to the news site directly to see the video. “Coaching parents on toddler talk to address low-income word gap” is a pretty interesting report from the PBS News Hour. I’ve embedded the video below, and you can see the transcript here. It includes discussion about the Rhode Island that’s inserting recording devices into children’s clothing, which I have previously posted about skeptically (though I’ve tried to maintain an open mind). Five hundred parents and educators recently met at a family engagement conference in Reno, Nevada. A few days ago, I published a post titled St. Paul Federation Of Teachers Is National Model For Engaging Parents.